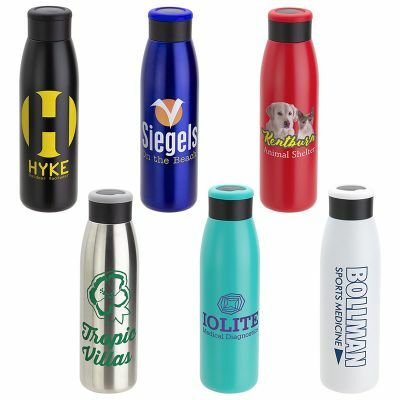 Custom metal water bottles have a distinct advantage over traditional media because these logo items will keep your brand and message in full view of your audience for a long time. With growing awareness about the health benefits of drinking more water, there has been a spike in the popularity of reusable water bottles during promotional events. Your brand and contact information on these custom metal water bottles will stay around for many years thereby making your branding work into the future. 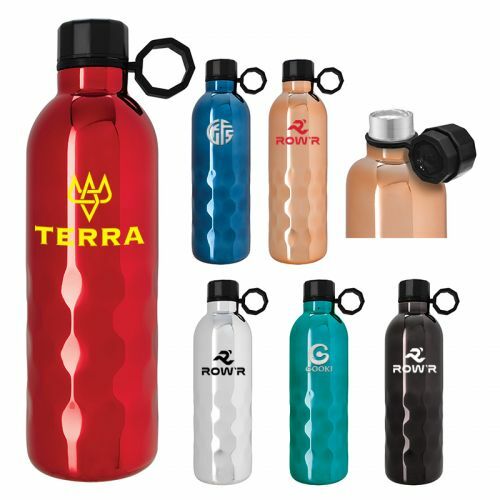 Offered in a wide range of colors and patterns, custom metal water bottles can be matched to the corporate color of marketers, thereby enhancing the impact of branding. The best part is that you can even mix and match the caps of the bottles to create a dazzling display and make your custom products stand out in the competition. Most promotional water bottles are great for outdoor events like marathons, school spirit rallies and sports teams to take their branding to the next level all the while ensuring a high utility promotional item for the users. Water bottles last for many years, which means you get assured ROI and long term appreciation from your recipients. Encourage and inspire your team to follow a healthy life style by staying well hydrated by handing out these trendy water bottles as appreciation gifts. Your brand and message on them will make them feel special in social circles, family picnics and holidays. Anyone who sees these gorgeous bottles will be interested to learn more about your brand and the brand pride of your employees will go up manifold. Here are some trending models that can be considered. Aurora Copper Lined Bottles: Keep the beverages and brand image fresh with these copper lined stainless steel water bottles. 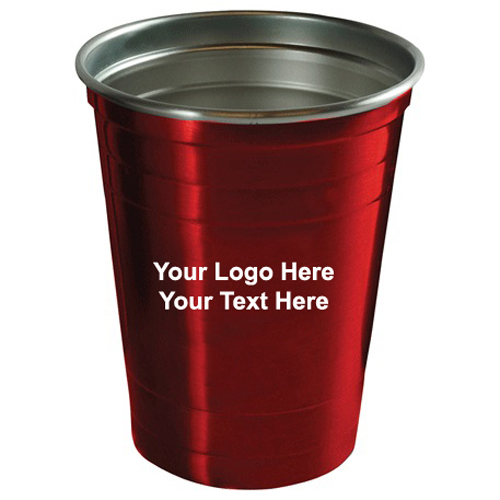 Offered in a range of brilliant colors, these are great for corporate events and store promotions. CamelBak Chute Mag Copper Water Bottles: Made of 18/8 grade stainless steel with copper lining, these attractive water bottles will keep the liquids in the desired temperature for a long time. Imprint your brand on these to make it the talk of the town. 17 Oz Drea Honeycomb Stainless Steel Bottles Your recipients will love to flaunt the unique honey comb pattern of these metal water bottles as they enjoy their favorite beverages fresh and hot or cold as they wish. Your brand on these will get a lot of attention for sure! 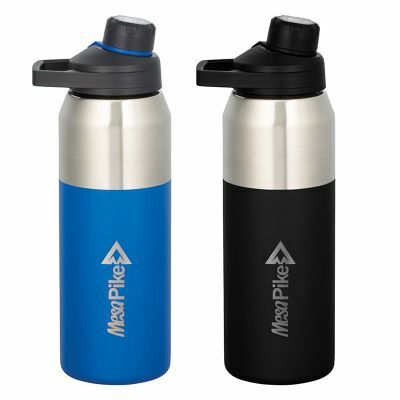 Aluminum Bike Bottles Made of BPA free Aluminum, these sturdy bike bottles have easy carry handle and flip straw lid that enable the users to enjoy their beverages on the move. 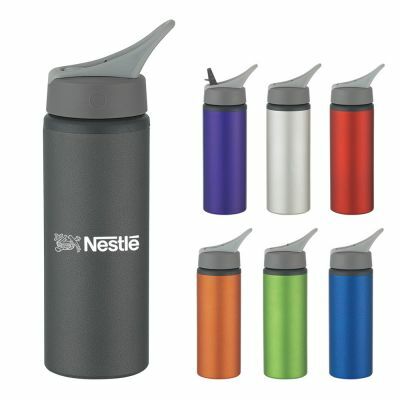 Are custom metal waterbottles in the list of your marketing items? Do share your thoughts with us at our facebook page.